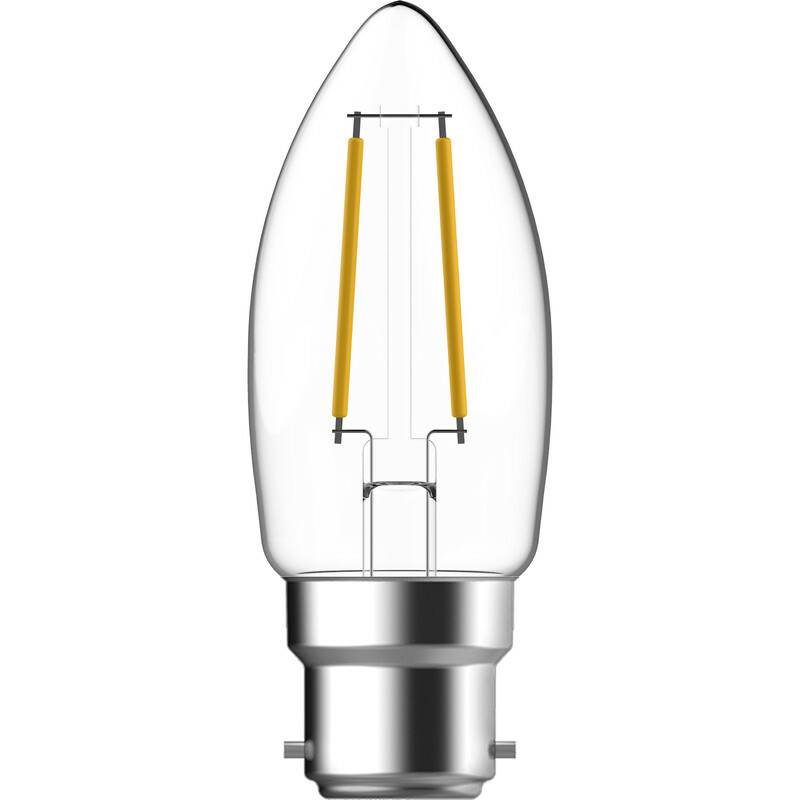 Energetic LED Filament Clear Candle Dimmable Lamp 4.8W BC 470lm is rated 2.1 out of 5 by 7. Rated 5 out of 5 by stupid woman from nice to have warm white not much difference in light quality compared to old style candle bulbs which was just what we were looking for. Rated 1 out of 5 by pdav from Noisy lamps The lamps buzz when connected via a dimmer, but not if used without a dimmer,,however they are sold as dimmable lamps. Rated 1 out of 5 by RodN5 from Annoying hum Just bought and fitted these. Whilst the light is ok, there is an annoying hum like other reviewers have stated. Will be returning them. Rated 2 out of 5 by Cranny from Poor dimming Unfortunately these lamps flicker when dimming so you have to have them full on or very low nothing in between. Disappointing!! Rated 1 out of 5 by AndyR from Look great.... Sound annoying They buzz and wasn't just a faulty bulb. 6 in chandelier all had fault and even the replacement I tried - so got refund on all of them. Rated 1 out of 5 by Cluster from Noisy Cheap to run and give off a reasonable light.... but have a rather annoying buzz so they'll be going in the bin.